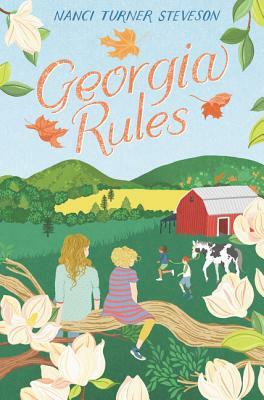 Perfect for fans of One for the Murphys and The Penderwicks, this poignant and moving middle grade novel tells the story of a girl who moves to a new town and meets an unforgettable family—one that will change her and her mother’s lives forever. Then Maggie meets the Parker family—two moms, six kids, plus a pony. The Parkers are loud and wild, ask lots of questions, and don't follow any of the rules Maggie grew up with in Georgia. Suddenly Maggie has questions too—questions about her father, and why Mama kept him away for so long. In her search for answers, Maggie will learn that families are like patchwork quilts, sewn together by love, and all the more beautiful for their different colors. Nanci Turner Steveson grew up in Connecticut, England, and Texas, always with a book in one hand, the reins of a pony in the other. She wrote her first “novel” at the age of nine about a wild horse named Liberty. Nanci works with the Off Square Theatre Company as a stage manager and youth-performer shepherd. She is a reading fairy to book-hungry children and a riding instructor. The mother of two grown sons, Nanci lives in a meadow at the foot of the Grand Tetons in Jackson Hole, Wyoming, with her Arabian horse and a 100-pound rescue dog named Story. She is the founder of the Literacy for Hope project, dedicated to getting books into the hands of the homeless. Visit her online at www.nanciturnersteveson.com.